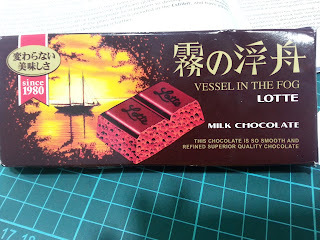 When I was visiting my relatives yesterday, one of my relatives who went to Japan brought back this chocolate from Lotte. At first I thought it was just a normal Lotte milk chocolate bar. However, as I unpacked it, I noticed the difference in texture as I broke the first row. It doesn't have the usual firm breaking, but a more soft breaking as though it's been exposed to heat for a while. Throwing the piece of chocolate in my mouth, the texture is unusually light and airy, which later turns back to its usual - smooth and milky texture. The taste remains the same as the normal milk chocolate bar. So, it's like eating a chocolate cake. Not the usual chocolate cake, but a 100% chocolate cake. The final part of my trip!!! For breakfast, we went to Super Tanker Food Court. It was introduced by my senior when I went to internship in Penang during my WBL. So, I decided to bring my family here as the food here are quite delicious. In Super Tanker, there's also a pancake store that my mum wanted to try - Aki's Pancake. This pancake store sells a variety of pancake. There are also some choices of combination that you can never imagine in it. However, it only opens from 6pm. So, in the end, my mum could not try it. There are also a lot of stores that open in the evening. So, that's the best time to go. 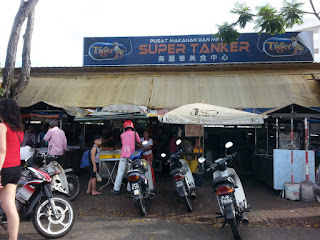 However, there are still some food you can try if you passed by Super Tanker. I have tried a lot of prawn noodle in Penang but this is the best. The Char Kuey Teow here is also the best so far. Happy Chinese New Year!!! 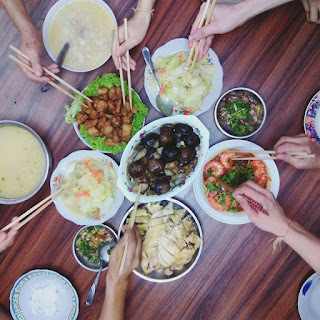 How did you all celebrate your New Year's Eve and first day of New Year (初一)? My New Year's Eve celebration was simple and easy this year. As all my grandparents live around KL, we were able to have reunion dinner for both sides in one day. Hi! As my house WiFi wasn't working properly, I weren't able to continue posting my trip until now. So, here's the second part. (It will be a very long posts. But, please bare with me =D). 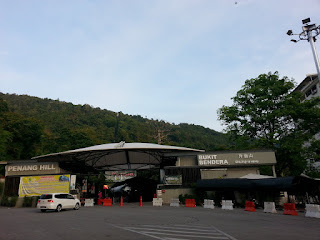 Our first stop early in the morning is Penang Hill (升旗山). As it was a school holiday and it's early in the morning, there were only a few people. We didn't have to line up and so there's no need for the fast lane ticket. I couldn't really remember but my mum told me that when we were young, we rode a train, which slowly "crawl up". However, now we have the modern, faster version of "slanted cabin" (they called it a funicular train)! Throughout the ride, the train stopped a few times (I supposed it's for tourists to snap a few pictures). After we passed through a tunnel, we arrived at the destination.